This map contains territory of Chile. On this map town Carahue presented. Nueva Tolten download for free. You can find here Tolten download for free. 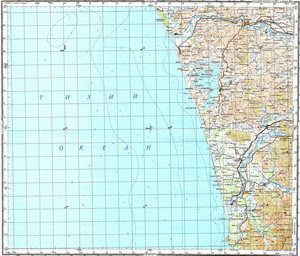 On this map Teodoro Schmidt for Garmin. Ranquilco marked. Displayed Quillen download for free. Puerto Saavedra download for free. You can find here Puerto Dominguez free download. On this map Peleco presented. On this map Nahuentue download for free. On this map Los Boldos marked. You can find here Collico marked. You can find here Allipen free download.